Third party funds distribution – Altamar Capital Partner. Altamar Global Investments has a team that provides direct access to funds managed by some of the best Fund Managers worldwide in areas such as Private Debt, Absolute Return and specific segments within the Long Only space. In July 2014, Altamar Capital Partners created Altamar Global Investments, a Broker-dealer regulated entity aimed at providing institutional clients with efficient access to assets classes other than Private Equity and Private Equity Real Estate assets. Altamar Global Investments has a clear strategy focused on adding value for clients, making use of all the analysis and due diligence resources available at Altamar Capital Partners to access, select and offer clients the best managers in asset classes such as Private Debt, Absolute Return, and specific segments of the traditional Long Only space, such as High Yield, Convertible Bonds, and Emerging Markets Debt. In a low-rate environment in Europe, where valuations of traditional equity and fixed income assets are stretched, investors require investment strategies enabling them to obtain stable returns with little correlation to interest rates and overall markets. The Private Debt and Absolute Return strategies address this need. On the more traditional side, the lack of yield of lower risk fixed income assets, together with potential negative impact of rising interest rates, are implying that an increasing number of institutional investors are implementing a barbell strategy within their fixed income allocation; shifting part of their core allocation to Investment grade bonds to a combination of liquidity and higher yielding bonds (non-investment grade corporate bonds and Emerging Market Debt), optimizing their potential returns with a very similar risk. Miguel Rona is a Partner at Altamar Global Investments and his responsibility includes the development of the company’s distribution and marketing capacity. 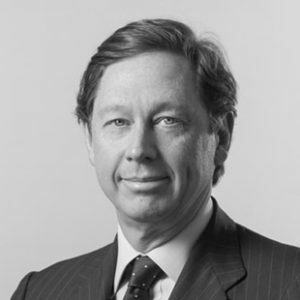 Prior to joining Altamar, Miguel worked during 14 years at Invesco Asset Management, where his latest position was Co-Head for the fund management firm business in Continental Europe as well as in Latin America, with responsibility over the sales and client service teams in the different European countries. During his last two years at Invesco, Rona was also in charge of leading the relationship with key global clients and was a member of the company’s executive committees (Distribution Committee, Product Development Committee and Risk Committee). Before that, he was Iberia Country Manager and responsible for Invesco’s business development in Latin America. While he was the responsible for the European business at Invesco, the firm’s assets under management in Continental Europe grew from $14 Bn to $25 Bn. Miguel began his professional career at Procter and Gamble, where he spent six years developing several roles at the Marketing Department. He holds a Law Degree from the Universidad Complutense de Madrid and an MBA by Houston University.